The constructive of the mosque, which dates back to the period of Mehmet II, is Hodja Kasim Gunani who was a schotar of his time. As it is written on the tablet on the main gate, the mosque was restored in 1838 The mosque is known as Hasan Hüseyin Mascid due to two men with namas of Hasan and Huseyin who had been the servants of Ebu Eyyup el-Ensari. These men were buried here after they were martyred by being caught in this area while they were escapinq from the inconvenient behaviors of non-Muslims during their trip in the city allowed by the Rumelian Kaiser. The mosque was built in an ascending style and wooden. The inner part is 110 m² and the minbar, rostrum and mihrab are wooden white the inner sides of the walls are hand-worked. The place inside is also wooden. While the minaret on the left side with one balcony is independent of the structure and with a pointed-tip, the outer side built with bricks was cemented. The wooden cover of the damaged mosque was renewed under the supervision of the foundations in 1970. 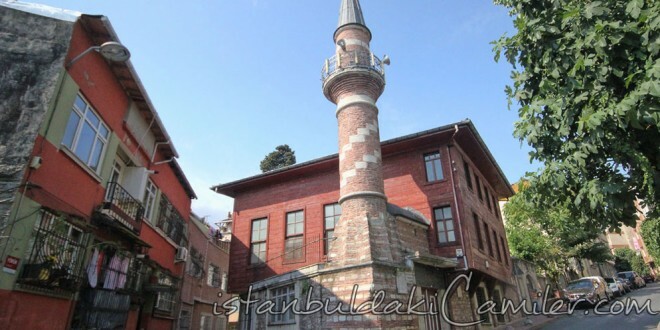 At the lower part of the mosque are the toilets, ablution place and prayer’s room while the modest mousaleum of Ashab-ı Kiram’dan Cafer bin Abdullah Ensari, the gaffer of Halit İbn-i Zeyd, is in the front side of the mosgue. The mosque having a preacher imam and a custodian muezzin has also a two-floor entailed estate near clerks.